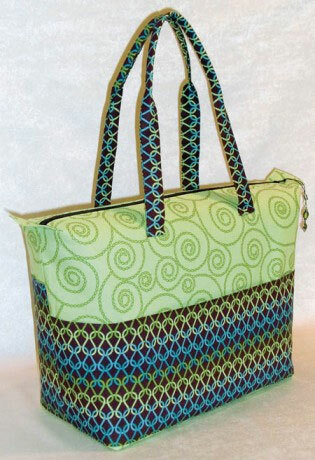 Enjoy 'Summer' year-round with this fabulous and flirty 'go anywhere' tote. 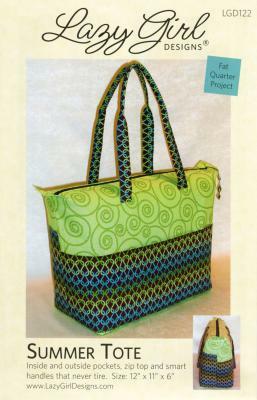 The Summer Tote pattern offers it all: inside and outside pockets, zip top and smart handles that never tire. Easy zipper installation. 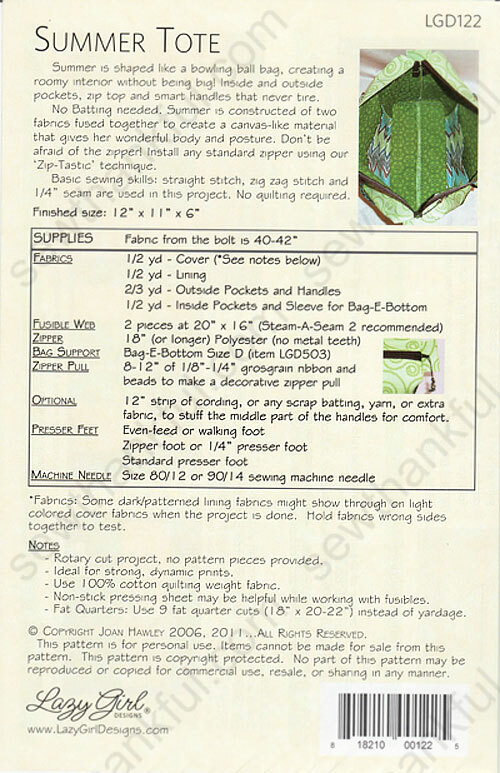 Finished size is approximately 15" w x 11"h.
The shipping and customer service on these items was top notch. I'm a fan of Lazy Girl patterns and this one didn't disappoint.